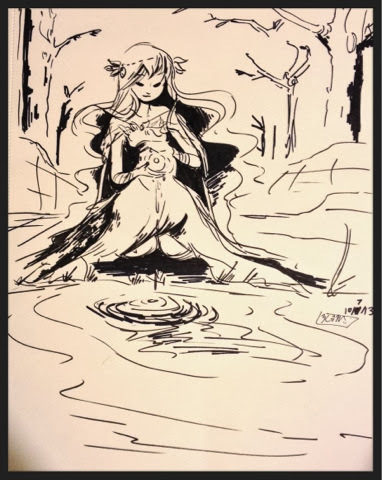 Late night sketch of the Earth Princess making a water orb (Oooh magic!) I wanted to combine my brush pen and sharpie for this. Enjoy!